It’s time to start building things! As I mentioned before, this book will not cover the code needed to write a rendering engine from scratch (since most of us have the luxury of using a game engine that provides one). 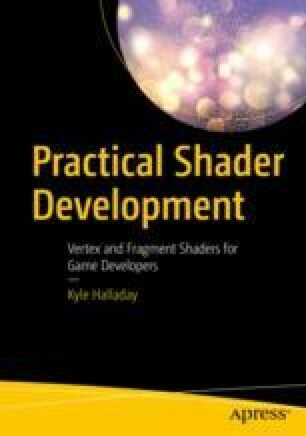 However, this book is not about making shaders in a specific game engine. Rather than grab something like Unity, UE4, or Godot, we’re going to use a creative coding framework called openFrameworks. openFrameworks has the advantage of being minimal enough that it will do “just enough” to let us focus on shaders, while not being as complicated as a full game engine. It’s also completely open source, MIT licensed, and works on every major operating system. Hopefully, openFrameworks will work for you, no matter what platform you’re on, or what your end goal is for shader development.